Go Foundation’s mission is to empower Indigenous Australian youth to change their own lives. With its trusted partners, and with culture at the heart of everything they do, they provide mentoring and support to GO students on their journey from Kindergarten to employment. They wanted to underscore and raise awareness around the importance if continuing education. As part of the #GOFurther campaign, GO launched 3 videos and research (thanks to KPMG Arrilla Indigenous Services) on the connection between further education and better outcomes for our young kids. The #GOFurther campaign shares stories of inspiration and encouragement from various indigenous leaders — Adam Goodes (Co-Founder of the GO Foundation), Brooke Boney (media correspondent/news broadcaster) and Jake Thomson (AIME) — encouraging youth to challenge themselves, have the life they dream of and that they are all born superheroes. 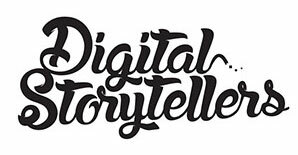 Digital Storytellers created a series of stories and teasers for the campaign. Over 4 million people engaged with GO over Twitter and almost 2 million people watched the videos.